Our insatiable demand for mobile data and services has resulted in exciting new RF technologies such as MIMO (Multiple Input – Multiple Output) being deployed to more efficiently use the limited RF mobile spectrum (spectral efficiency). MIMO involves multiple antennas and the simultaneous reuse of radio channels on different antennas to multiply the data capacity of mobile networks. The potential of MIMO technology is unquestioned however it has raised important issues that RF planners and engineers need to address to deploy high performance cellular networks that gain the maximum benefit from MIMO. These issues and the increasing demand for data has resulted in a drive towards smaller cells, lower PIM (Passive InterModulation) passive RF elements, specialised antennas and RF infrastructure, and more comprehensive RF and mobile data analysis and network optimisation tools. Kathrein offers different antenna solutions in order to support their customers in their effort to deploy small cell outdoor solutions for 3G and LTE. Not only do these antennas meet reliable electrical parameters, the unobtrusive design also minimises the visual impact especially in sensitive urban areas. Small cells are well-suited for providing dedicated capacity to high-use urban hotspots, such as hotel lobbies, restaurants, malls, train stations, airports and city streets. Click to download Kathrein’s Small Cell Brochure or Kathrein’s Street Connect Brochure. A family of ultra-compact antennas which increases the number of mounting options for small cell sites: walls; poles; inside; outside; virtually anywhere! 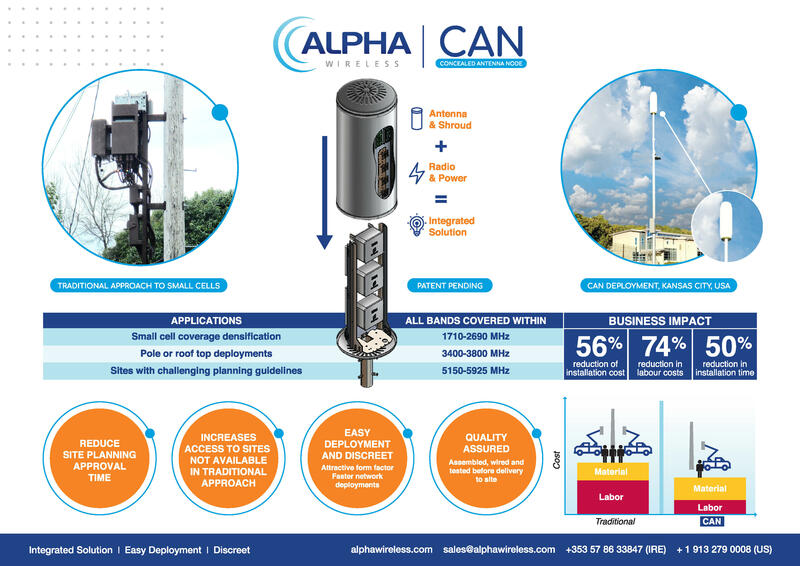 Now approved by many leading operators across the world the Alpha Wireless ultra-compact range leads the market in this regard with: uncompromised RF performance in the smallest form factor; usable indoors or outdoors; mountable on a pico radio to reduce box count on a mast; optional integrated GPS. To view the range see the table below or download the brochure. Today, everyone is talking about active DAS, allowing flexible capacity adaption and easy network modification. Depending on the size of the venue and the specific application, it is still often a more cost effective solution to use a passive DAS. Although passive DAS are relatively unflexible to retroactive changes in the system setup, the clear advantages are the simple design, low material costs, low maintenance efforts, high reliability and easy coverage deployment. Hence in venues without significant change in requirements over time the use of a passive DAS may often be reasonable. With more than 3 million sold indoor products and more than 20 years of experience in passive indoor systems, Kathrein is a trustable partner for future investments in the indoor sector. Click on the following link to find out more about Kathrein’s range of Passive DAS solutions. With K-BOW Kathrein enters a new dimension in in-house mobile broadband. By combining the synergies and experience available from the areas of highly efficient antennas, RF signal processing and power amplification technology, Kathrein is providing a future-proof solution for the challenges of today and tomorrow. K-BOW is a Micro C-RAN System, which makes use of a centralised base station pool. It transforms an indoor mobile communication environment into a flexible multi-operator, multi-band and multi-standard network. K-BOW provides flexible signal distribution and routing over all supported frequency bands and technologies, thereby enabling an optimal capacity distribution within the very dense traffic areas of the network. K-BOW deployments are future-proof. The Kathrein system is technology independent and includes MIMO capability from day one. LTE-A features are transparently supported. The system is expandable in live operation and additional cabling is required. K-BOW is designed with a minimum requirement on installation efforts. Install, connect, commission: no lengthy configuration and calibration – one time visit. Not only do Maser supply high quality products for DAS but we also provide complete installation and planning services. Contact Maser to learn more out our DAS services. With the increasing voice traffic, data and images via wireless mobile devices, also generates demand for signal coverage solutions indoors especially in large commercial projects such as shopping malls, condominiums, hotels, restaurants, airports and more. The Rosenberger Domex has solutions that span the entire project design, with turn-key delivery capacity (site survey, design, installation, testing: VSWR, Walk Test and PIM, and at the end of the preparation of the final draft – as-built ) and also supplying equipment to the activation of the indoor coverage network of the passive components as complete for the antenna distribution system, calledDAS – Distributed antenna System. Rosenberger DAS solutions cover GSM, WCDMA, LTE and Wi-Fi applications ranging from 698 MHz to 2700MHz. They comprise of fiber optic master and remote unit repeaters (for active DAS), point-of-interface (POI) signal combining racks, IBS antennas, passive components (splitters, couplers, hybrids, attenuators), fiber optic cable assemblies, and RF coaxial cables and jumpers. RADiAnt, which stands for Rosenberger Active DAS with integrated Antenna, is our next generation distributed antenna system (DAS) platform designed to address the requirements of LTE-Advanced. It features a distributed architecture of compact remote radio units that supports multiple mobile operators for neutral hosting applications, multiple frequency bands and technologies – 4G LTE, 3G WCDMA, and 2G GSM/GPRS. The Integrated Remote Unit (IRU) features a slim integrated antenna along with a hybrid DC-Fiber feed for ease of installation and eliminates the need for traditional passive DAS components and unsightly or unwieldy coaxial feeder cables. With “Connect and Go” simplicity, the RADiAnt solution can be designed and installed in a fraction of the time compared with conventional Active/Hybrid DAS solutions. RADiAnt is also supported by Rosenberger’s Operations Maintenance Center (OMC) which provides remote NMS/EMS monitoring, control and configuration capabilities. In many scenarios, a combination of traditional passive DAS and the high performance RADiAnt solutions are needed, such as using cost effective passive DAS for basement carpark coverage and the RADiAnt for robust high data rate mobile coverage in high rise offices and capacity hotspots. The SMART DAS solution can address these multiple needs on a single DAS platform. In addition to simultaneously supporting both DAS platforms, the SMART DAS can also provide dynamic capacity routing for temporary capacity surge in any area within the DAS network. The modular structure also provides capacity scalability and future proof on a “pay as you need” add on. Off-air repeaters can also be used as a cost effective solution to implement a small DAS system for basement car park coverage , or a small Pico repeater for a small office or shop, or in places where the traffic does not justify the use of a base station as the signal source. Rosenberger DAS systems have been proven to provide robust mobile connectivity and have been successfully deployed in airports, metros, stadiums, shopping centres, and campuses throughout the world. Please contact Maser for more information on Rosenberger’s range of DAS solutions. Kathrein is a leading international specialist for reliable, high- quality communication technologies. Kathrein is an innovation and technology leader in today’s connected world. Kathrein’s ability to provide solutions and systems enables people all over the world to communicate, access information and use media, whether at home, at the office or on the road. Kathrein cover a broad spectrum: from outdoor and indoor mobile communication solutions, to satellite reception, broadband and broadcast technology, to transmission and reception systems in vehicles. AltaFlex technology conceals multiple sector antennas inside the lowest diameter (168-330mm) cylindrical housing in the market. The use of a single compact radome to house a full suite of antennas makes it the ideal solution when planning and zoning restrictions limit standard antenna deployments. It is designed to be easily mounted on rooftops, and on street furniture such as flagpoles and lighting fixtures, and is available in a variety of antenna configurations to suits most applications. Rosenberger’s S-Wave BTS Antenna Series cover all main-stream 2G/3G/4G mobile communication systems within 698-2700MHz. Assisted by the advanced electromagnetic and mechanical simulation software, Rosenberger’s multi-national R&D teams have successfully created a rich set of high quality BTS antennas based on the highest technical standards and the strictest environmental standards in the industry. Rosenberger will meet your current and future needs by providing excellent performance and value. Amphenol Antenna Solutions (including Jaybeam) offer one of the most comprehensive ranges of mobile antennas on the market .In addition to antennas, Amphenol also offers an assortment of Filters, Mast Head Amplifiers and Tri-Sector antenna enclosures. BTS antennas – fixed, adjustable, 2-way, tri-sector, log periodics, omnis and more. Cylindrical Antennas – One, two and three-sector antennas inside a small, low visual impact cylindrical enclosure. Discretely deployed as flag poles, roof-top vents, street lamps or telephone poles. Some Australia mobile network operators are moving towards a Non-FIM (Non Free Issue Material) model where network build service contractors are now being tasked with sourcing the RF components (e.g. Antennas, Jumpers, Cables, Connectors, DC Stops etc) required for mobile site installations and upgrades. Previously these items were all stocked and supplied by the network operators. 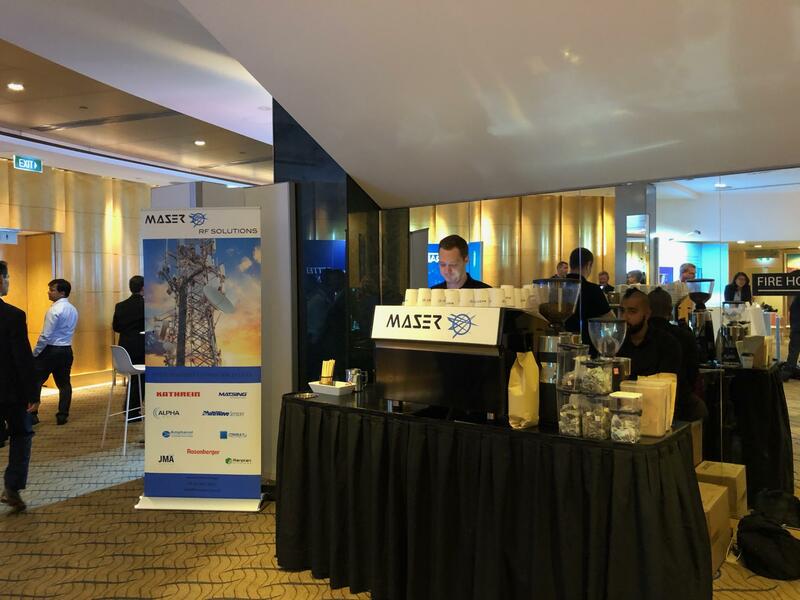 Maser is leveraging our resources and their year’s of experience at supplying Australian mobile operators to provide the widest range of Non-FIM components to network build service vendors and their sub-contractors. An increasing number of our RF solutions are now part of our Non-FIM range. Many of the largest mobile network operators are turning to JMA’s unique universal compression connectors, which utilize a patented active compression technology that eliminates PIM, installs in 1 minute and guarantees long term reliability. With these robust solutions, MNOs are able to significantly lower operational costs yet still meet the growing coverage and capacity needs. Click on the following link for a Technical Overview of JMA Compression Connectors or contact Maser regarding your specific requirements. Rosenberger offers fully developed mobile communication infrastructure coax and fiber optic site solution products for the complete connectivity of radio base stations – from the BBU/PSU to the RRH and antenna. Rosenberger coaxial jumpers are designed using the many years of experience gained by Rosenberger engineers in this field and also utilize Rosenberger’s unique knowledge of designing and manufacturing world-leading rack and desktop PIM testing equipment. Not only do Rosenberger SiteLink jumpers have the industry-best PIM levels -117 dBm / 160 dBc @ 2 x 20 W (typ. -120 dBm / -163 dBc @ 2 x 20 W) but these excellent levels are guaranteed for every assembly that leaves the Rosenberger production facility. 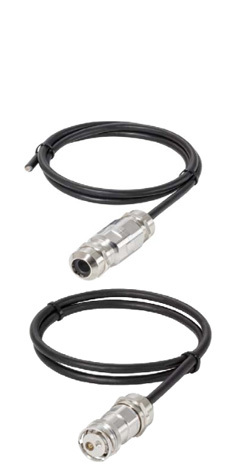 The unique coaxial design ensures more efficient cable capacity resulting in increased stabilization of the supply voltage. In addition to the superior electrical performance, the Rosenberger coaxial design offers a smaller diameter over jacket, a tighter bending radius, a more flexible installation as well as higher protection against induced currents and surges. 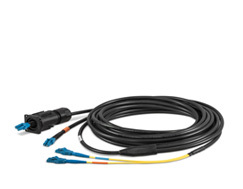 The fiber optic jumper cables build the flexible interconnection between Box and Boxless Solutions and the RRHs. Those outdoor jumper cables are designed for harsh environments and support the various interfaces of mobile solution providers. Please contact Maser to discuss your specific jumper and/or hybrid fibre cable requirements. Maser has a comprehensive range of antenna accessories from many of our vendors. If you need DC Stops, Dust Caps, Smart Bias Ts, RCUs, TMAs etc please contact Maser. 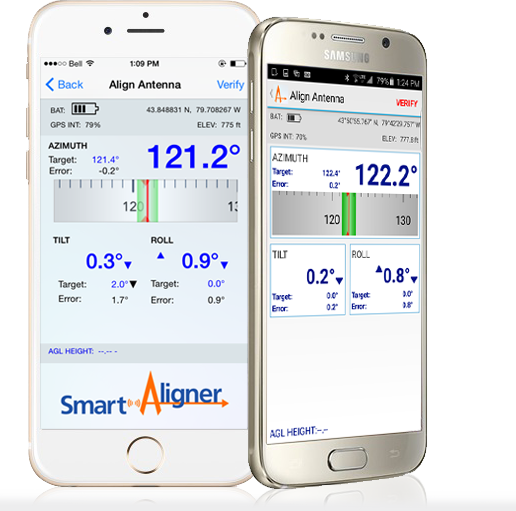 The Smart Aligner is the smallest and most powerful Antenna Alignment Tool on the market. Compact design, exceptional performance, multiple configurations and smart phone enabled makes it the smartest choice for aligning your antennas. The incorporated GPS technology and sophisticated sensors calculate Azimuth, Tilt, Roll, Location and AGL of an antenna under the most demanding conditions. To learn more click to download the SmartAligner Datasheet. Passive Intermodulation Analyzers (PIA’s) from Rosenberger facilitate quick and accurate measurement of the intermodulation characteristics of passive components, such as connectors, cable assemblies, antennas and filters. Precise analysis of the quality of mobile communication infrastructure is also possible. Rosenberger Passive Intermodulation Analyzers can be customized according to specific requirements by realizing modularized assemblies and cost reductions. Furthermore, Rosenberger provides technical support, product training, calibration as well as maintenance on site. Rosenberger’s updated range of Passive Intermodulation Analyzers (PIA) includes Rack and Desktop versions, as well as PIM Site Analyzer alpha. 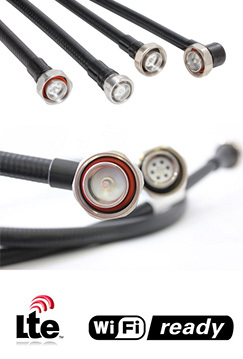 Terminations, adaptors and test cables complete the product portfolio. 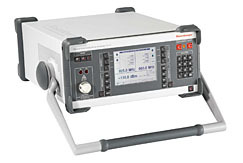 All analyzers are offered for measurements in various frequency bands. Rosenberger presents its brand new broadband passive intermodulation analyzer “PIM Site Analyzer Alpha” for multi-function on-site tests and measurements of active and passive elements – whether outdoor or indoor systems, RF or Fiber Optic. The new analyzer features PIM detection over CPRI and offers exchangeable filter units. Desktop Analzer has been designed for laboratory and manufacturing applications to quickly and accurately measure the intermodulation characteristics, as well as on tower mounted devices, e.g connectors, cables and other passive components. 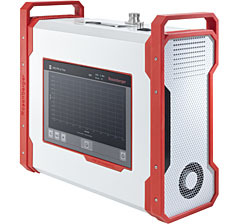 The transportable PIA can also be used for a precise analysis of the RF infrastructure quality and performance of radio base stations and operates in LTE 700, AMPS, EGSM, DCS, PCS, UMTS, UMTS II / LTE / BRS-EBS and WiMAX frequency bands. They are delivered in a highly shock-proof, stable transport case. Rack Analyzer with broadband amplifiers, exchangeable filter units and multiplexers, are specially designed for the use in production lines to measure the 3rd, 5th and 7th order intermodulation, but they also can be applied in R&D, laboratory and calibration centers. Rack types are available as “reflected” types or “reflected & transmitted” types, which operate in LTE 700, AMPS, EGSM, DCS, PCS, TD-SCDMA, UMTS II / LTE / BRS-EBS and WiMAX frequency bands. To go to our Service Assurance section please click here. Maser provides Mobile Network implementation services for both Macro. We are specialise in Macro and In-Building Solution Design, Installation, Commissioning, Integration and Troubleshooting of Active (Fibre Optic) and Passive DAS (Distributed Antenna Solutions). Our experience include Mobile Coverage Testing and Report Preparation, Fibre Installation, BTS Commissioning, and PIM testing/rectification services. We have been long term network assurance partners with Telstra, Optus, VHA, VicTrack on UHF, 2G, GSM-R, 3G and LTE technologies. Maser and our range of world leading RF partners have extensive experience throughout Australia and overseas within the telecommunications industry. “Our promise is to deliver Industry standard solutions and services within an agreed timeframe and on budget to our customers”. Maser can provide a cost and resource effective ‘one-stop-shop’ type service to customers looking for a single supplier to provide their RF network components. Maser provide this service using their own stable of world leading suppliers and will source from other vendors as needed to simplify the procurement process. Maser has extensive capabilities and experience in negotiating supply agreements. Maser is an active supplier to, and importantly have supply agreements in place with, the many telecommunications service providers in Australia including Telstra, SingTel Optus, Vodafone, Vocus/M2 and TPG. We also have agreements in place with many of the major network build contractors involved with rolling out and maintaining RF sites across Australia. Maser has extensive logistics capabilities and experience that is required to fulfill major network roll-out requirements in a timely manner. We use a pool of freight forwarders to keep freight costs down, have our own warehouses for storing network equipment and spares, and are experienced at delivering large items (e.g. base station antennas) around Australia. Mobile communication means being available anywhere and anytime, using media and having Internet access. Mobile network operators face the challenge of reliably providing needed capacities for the enormous data volumes and Kathrein is the perfect partner for this task. Kathrein is the world’s largest antenna manufacturer and every month around 150,000 mobile communication antenna and filter systems leave their plants, and customers around the world place their trust in Kathrein’s technology and quality. Alpha Wireless designs and manufactures high performance base station antennas for all applications and standards. All antenna designs have optimized radiation patterns which helps to improve overall network performance, and real trials have shown significant throughput and sector capacity improvements. 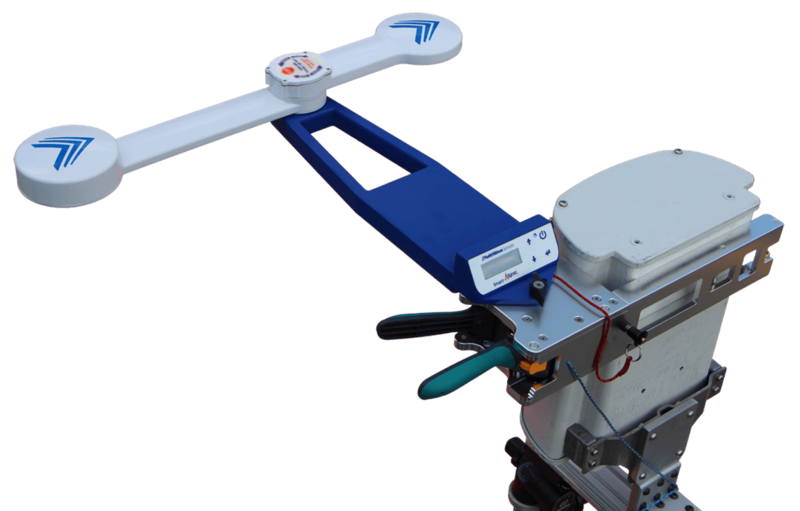 Alpha prides itself on its expertise and its response times to customer needs, and that’s why many of the world’s major equipment vendors and operators have chosen Alpha for their antenna projects. JMA Wireless is the leading global innovator in mobile wireless connectivity solutions that assure infrastructure reliability, streamline service operations, and maximize wireless coverage and mobile data performance. In Australia Maser supplies JMA’s leading range of compression connectors that dramatically reduce installation time (typically ~1minute), and consistently provides low PIM connectivity that reduces site revisits and increases the RF performance of LTE networks. Rosenberger provides a wide range of standardised and customised connectivity solutions in high-frequency and fiber optic technologies including special test equipment specifically designed for commissioning wireless operator sites. Maser offers Rosenberger’s PIM Analyzers and mobile communication coax and fiber optic site solution products for the complete connectivity of radio base stations – from the BBU/PSU to the RRH and antenna. Amphenol Antenna Solutions is a single source for wireless infrastructure offering not only base station antennas, but also transmission line products including RF cable, connectors and jumpers as well as accessories (TMAs, combiners, filters, couplers, repeaters) and RET system components (surge arrestors, Bias-Ts and PDUs). The company provides a comprehensive suite of solutions for virtually all applications and global frequencies, with product available from the top of the tower to the base station. 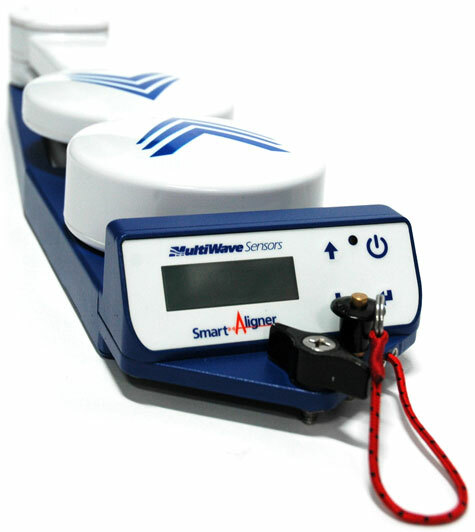 Multiwave’s Smart Aligner System is the most advanced antenna alignment system on the market. 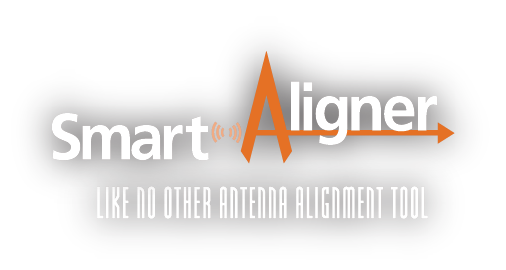 Smart Aligner provide convenience, easy portability, and verifiable reporting for antenna alignment, which will increase antenna performance and maintain faster data speeds. 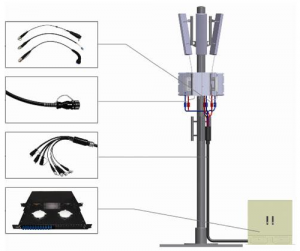 MultiWave Sensors alignment solutions are being used by companies worldwide, including Ericsson, Bechtel Corporation, AT&T, Verizon, Sprint, GOGO and other carriers. Please call Maser on 02 9452 6062, email telco@maser.com.au or enter your details on the right and let us know what Solutions, Applications or Partners you're interested in and we will send through more information ASAP. Thank you for your interest in Maser.